Perfect for the math lover - or math teacher - in your life. Or give it as a graduation gift to that college-bound senior. 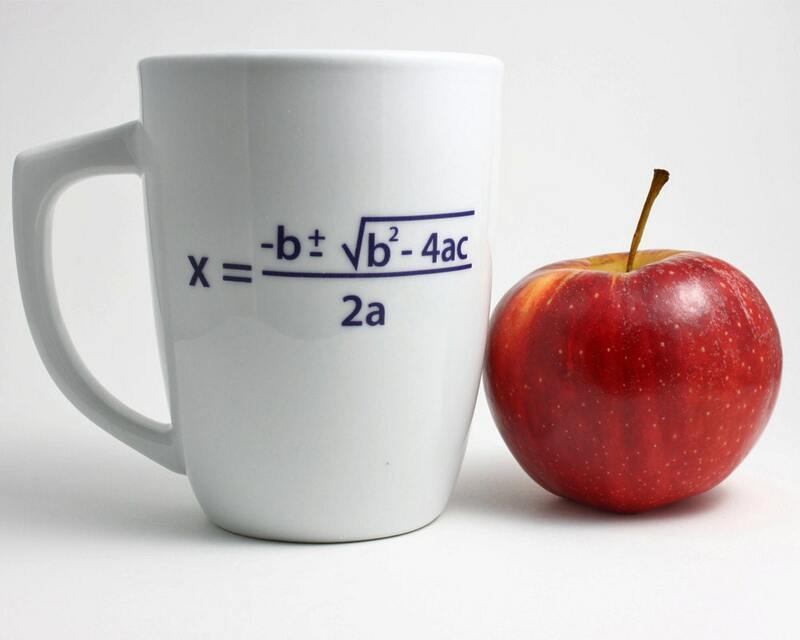 This commercial mug has a custom ceramic decal showing the Quadratic Equation... you know, from high school Algebra. I don't remember what it's for, but my teacher made us memorize it as a little song. Who says you don't use math in every day life? Mug is white and the custom decal is black. Decal is fused to the mug and is permanent. Holds 14 oz. of liquid - that's a lot of coffee! Part of my new Upcycled/Recycled series, I'm offering a few items with my designs on commercial ware.